A 65-year-old man was killed while 15 others injured in a road accident on C&B road in Ashulia of Savar on Sunday morning, UNB reports. The deceased was identified as Abdul Mannan, 65, son of late Shahar Ali, hailing from Ramdaspur village in Bhola sadar upazila. A bus of ‘Ananda Super Paribahan’ ran over Mannan in the morning at Anarkoli Bus Stand in the area, leaving him dead on the spot. The bus later hit a roadside tree after its driver lost his control over the steering leaving 15 passengers of the bus injured. Being informed, cops from Ashulia Police Station seized the bus, said Sub-inspector Sazzad Hossain of the police station. 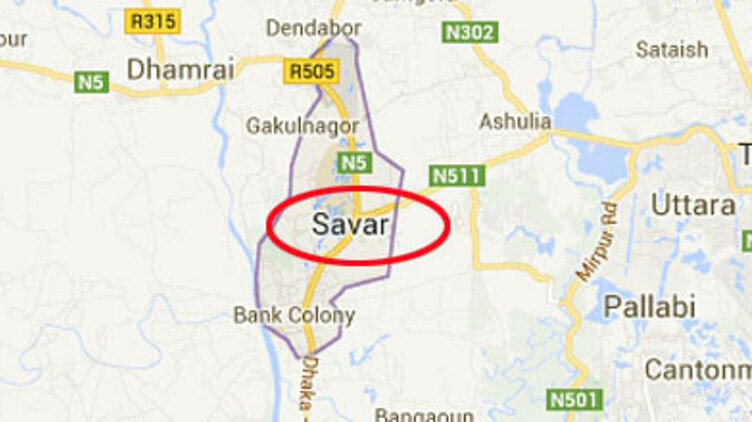 Meanwhile, five passengers of an auto-rickshaw suffered burn injuries after its gas cylinder exploded on Dhaka-Aricha Highway at Jolpur area in Savar in the morning. The injured were admitted to Savar Enam Medical Collage Hospital.